Downtown Toronto is one of the most vibrant parts of the city. That said, with so many choices of activities and restaurants, it can be difficult to know where to begin to figure out what to do. Here are our top picks of things to do in downtown Toronto, all close to your furnished apartment! 1. Eat! The quality and number of options of where to dine and drink in Toronto has ranked as one of North America’s great food cities. Our current favourites include Thoroughbred for upscale food in a casual environment, a great after-work option; Real Sports Bar, right near our 300 Front Street building is always a good alternative to watching the game at the ACC. Montecito is the new fancy restaurant in town, with a California-inspired menu. Thai options are readily available in the downtown core, including the popular Pai. For healthier fare, Fresh has a number of locations in Toronto (many downtown) and now serve cold pressed juice. Rush Lane is our pick for classy cocktails. For brunch, the Swan or the Drake Hotel never disappoint. Thor Espresso is our pick for grab and go coffee (and do check out their new location, Odin Hus, opening in Corktown in February. Little Nicky’s is irresistible for those mini donuts, and for your craft beer needs, Bellwoods Brewery on Ossington offers some of the finest in the city. 2. See live music. There are a number of fantastic venues to see live music, usually most days of the week. You will also get a sen se of Toronto’s history through these old buildings. Massey Hall is one of those classic venues. On Queen Street, The Cameron House and the legendary Horseshoe Tavern are great for rock and roll and a cheap drink. Try Sneaky Dee’s on Bloor for a mix of concerts and dancing. For a more traditional experience, check out the Toronto Symphony Orchestra or an opera at the Four Seasons Centre for Performing Arts. Of course, if you want to see a big concert experience, The ACC or the Rogers Centre are your best bets. 3. Explore a new park. 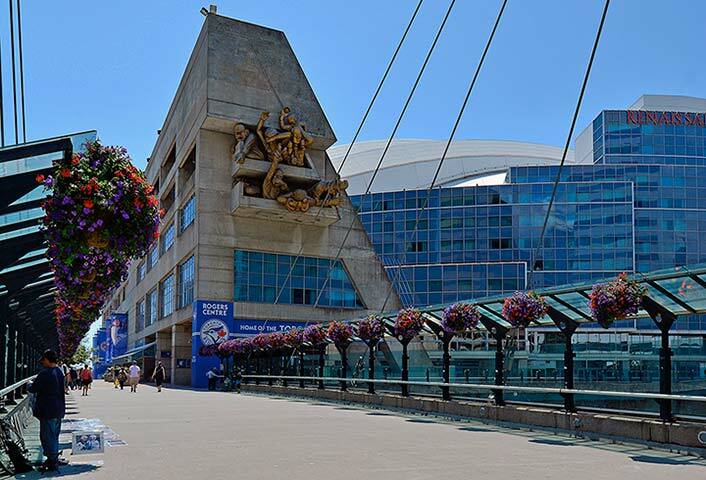 Toronto’s park system is expanding with the advent of the Pan Am Games. 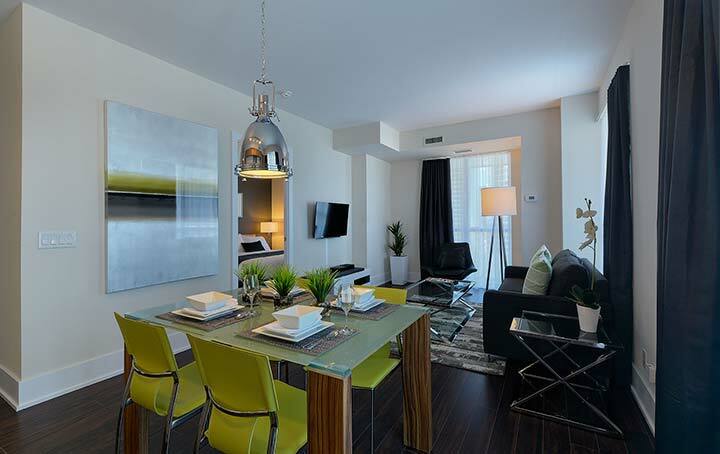 Downtown, there are a number of trails and parks near your furnished apartment or condo. Trinity Bellwoods is the perennial favourite, ideal for a downtown picnic and people watching. The Harbourfront Trail is a great option near the lake and if you walk or bike far enough, you can visit a number of little parks along the way. Further east, try Cherry Beach for its secluded spots near the water, but up the street near the Distillery District and the upcoming athletes village of the Pan Am Games, you’ll find the Corktown Commons, Toronto’s newest interpretation of an urban park with a phenomenal view of the city skyline. 4. Shop! Downtown Toronto is our shopping mecca. You can check out our favourite stores for your Christmas Shopping needs here, though they are great shops year round. 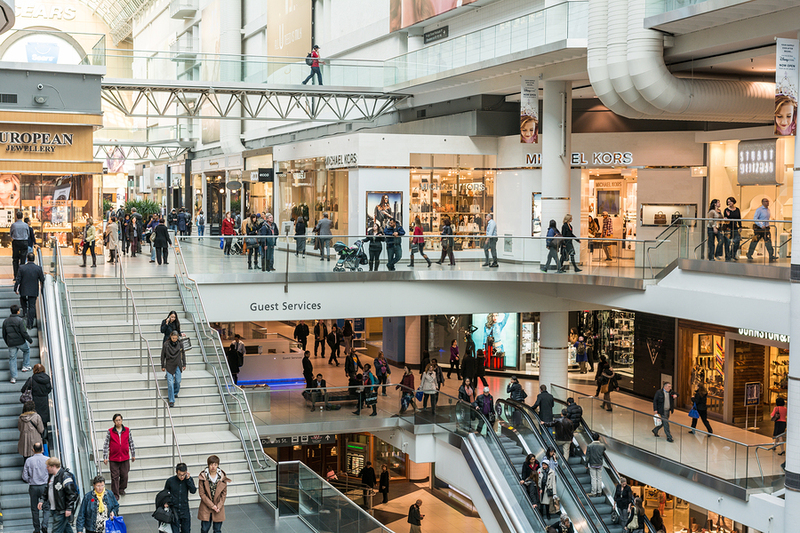 Our main shopping centre is the Eaton Centre, which is anchored by the Hudson’s Bay Company on Queen Street. King Street East is the main furniture shopping strip (you can go further west to the Junction for furniture stores as well). Queen Street is your best bet for clothing boutiques. Kensington Market is a fun area to shop for vintage. Ossington also has some interesting vintage finds. If you’re a book collector, check out some interesting bookstores like Monkey’s Paw on Dundas West and Type on Queen Street West. 5. Art Galleries We have listed our favourite art galleries in Toronto but it’s also one of our favourite things to do downtown. The AGO consistently has a number of thought-provoking exhibitions and distinct Canadian collections. MOCCA, the Museum of Canadian Contemporary Art, is a wonderful alternative if you’re strolling along Queen Street. Plus, it’s free! 6. The Royal Ontario Museum (ROM) Now into its centennial year (100 years! ), the ROM has been a beacon of education and discovery for kids and adults alike. Make sure to take a walk along Philosopher’s Walk at the back of the musuem to the neighbouring University of Toronto after your visit and for a chance to gaze at the architecture of the Royal Conservatory of Music. 7. Ripley’s Aquarium One of Toronto’s newest attractions and one of our favourite activities for families, Ripley’s Aquarium will keep you occupied for hours. The dangerous lagoon is the highlight of the aquarium. On the moving walkway, you can get up close and personal with marine life swimming above you, including a varitey of sharks a nd stingrays. The aquarium now offers live jazz every second Friday of the month as well as interesting events for the kids like daycamps, sleepovers, and a stingray experience. 8. 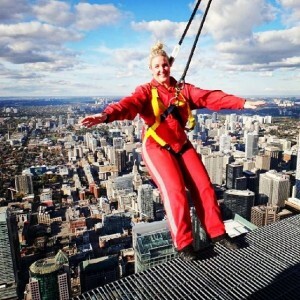 The CN Tower Edgewalk if you’re a thrill seeker, walking around the outer edges of one of the world’s tallest towers will elevate your adventures to another level. There is no view like it in Toronto and you get a video and photo as a souvenir at the end of the experience! 9. 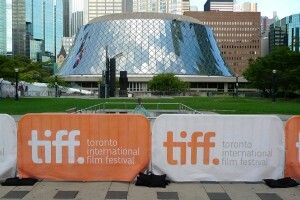 Festivals and Events Year round, there’s always things to do in downtown Toronto whether it’s in January or August. Aside from the buzz-worthy TIFF (Toronto International Film Festival) and its neighbouring year-round exhibitions at the TIFF Bell Lightbox on King Street, try Hot Docs in March if you’re into film. Canadian Music Week and NXNE are a riot for music fans; beer lovers love the craft beer festival in January; and though sports fans are always at The ACC for a basketba ll or hockey game if not at the Rogers Centre for a baseball game, the Pan Am Games will bring an extra jolt to the city this July. 10. Laugh! Canada is not short of incredible comedians. Check out Yuk Yuk’s where Russell Peters got his start or for a more participatory experience, try the Second City for improv just steps away from our central properties downtown. Whether you’re in Toronto for a short term period or extending your visit to a long term stay, you won’t run out of things to do while you’re downtown. Have a great time!